Here’s a fun way to save at the movies! 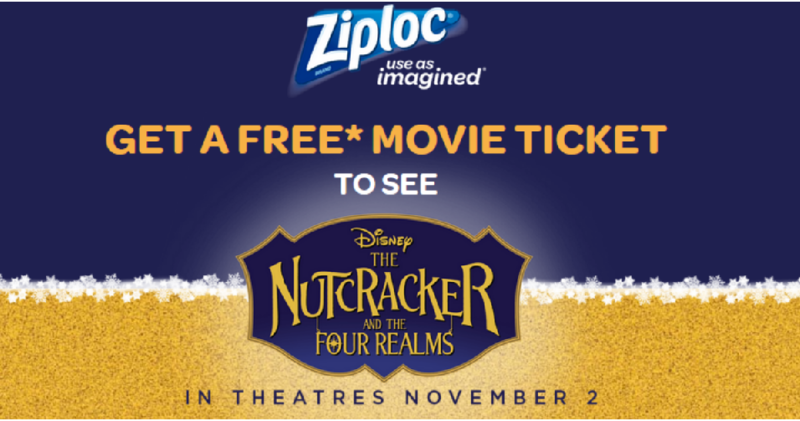 Get a free ticket to see Disney’s The Nutcracker and the Four Realms in theaters when you buy two Ziploc products through 12/31 at Walmart! Purchase two Ziploc products in one transaction by 12/31. Receive a movie ticket valued up to $9 for Disney’s The Nutcracker and the Four Realms. Once your receipt is submitted, you will receive a link for your movie ticket in your email within 48 hours. You can submit up to (4) receipts and take the whole family!